Please read this agreement carefully. It governs your use of the DIY Tools web site and the services and goods provided through the web site (collectively the "web site"). It exempts DIY Tools and other persons from liability or limits their liability and contains other important provisions that you should read. Each time you use the web site you acknowledge and signify that you have read, understood, and agreed to be bound by this agreement. If you do not agree with each provision of this agreement each time you use the web site, you may not use the web site. Each time you use the web site, the text of this agreement as it then reads will govern your use. Accordingly, when you use the web site you should check the date of this agreement and review any changes since the last version. This is an agreement between you and DIY Tools and governs your use of the DIY Tools Web site and its content and the services and goods provided through the Web site (collectively the "Web Site"). Each time you use the Web Site you signify your acceptance and agreement, and the acceptance and agreement of any person you purport to represent (and for purposes of this Agreement, "person" includes any type of incorporated or unincorporated entity), without limitation or qualification, to be bound by this Agreement, and you represent and warrant that you have the legal authority to agree to and accept this Agreement on behalf of yourself and any person you purport to represent. If you do not agree with each provision of this Agreement, or you are not authorized to agree to and accept this Agreement, or you do not have the legal authority to agree to and accept this Agreement, you may not use the Web Site. You may not change, supplement, or amend this Agreement in any manner. DIY Tools may, in its sole discretion, change, and supplement or amend this Agreement as it relates to your future use of the Web Site from time to time, for any reason, and without any notice or liability to you or any other person, by posting a revised Agreement on the Web Site. The Web Site may be used only by persons who have reached the age of majority or legal age in their jurisdictions and who can form legally binding contracts under applicable law. The Web Site may not be used by persons in jurisdictions where access to or use of the Web Site or any part of it may be illegal or prohibited. It is solely your responsibility to determine whether your use of the Web Site is lawful, and you must comply with all applicable laws. DIY Tools endeavors to provide current and accurate information on the Web Site. Nevertheless, misprints or other errors may occur. 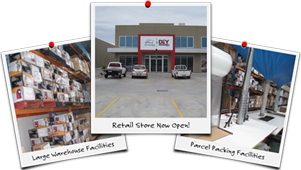 Accordingly, DIY Tools reserves the right to change the prices, fees and charges regarding the goods and services available through the Web Site at any time and from time to time without any notice or liability to you or any other person. Also, DIY Tools cannot guarantee that goods or services advertised on the Web Site will be available when ordered or thereafter. DIY Tools also reserves the right at any time to reject, correct, cancel or terminate any order. If you order goods or services for which the price was incorrectly displayed, DIY Tools will provide you with an opportunity to cancel your order. If you order goods or services that are not available, DIY Tools will notify you by email. DIY Tools reserves the right to limit quantities licensed or sold. The advertisements on the Web Site are invitations for purchase orders, and are not offers to sell. Your properly completed and delivered order form constitutes your offer to purchase the goods or services referenced in your order. Your order shall be deemed to be accepted only if and when DIY Tools sends an order acceptance and shipping notice email to your email address. If you wish to cancel an order, you may request a cancellation by sending an email to DIY Tools. However, DIY Tools may not receive and process your cancellation request before it accepts and processes your order, in which case your cancellation request may not be effective. YOUR USE OF THE WEB SITE IS AT YOUR OWN RISK. THE WEB SITE IS PROVIDED ON AN "AS IS" AND "AS AVAILABLE" BASIS, AND WITHOUT ANY REPRESENTATIONS, WARRANTIES OR CONDITIONS OF ANY KIND, WHETHER EXPRESS OR IMPLIED, AND INCLUDING WITHOUT LIMITATION IMPLIED WARRANTIES OF MERCHANTABILITY, FITNESS FOR A PARTICULAR PURPOSE, PERFORMANCE OR DURABILITY, ALL OF WHICH ARE HEREBY DISCLAIMED BY DIY Tools AND THE PROVIDERS TO THE FULLEST EXTENT PERMITTED BY LAW. YOU (AND NOT DIY Tools OR THE PROVIDERS ) ASSUME THE ENTIRE COST OF ALL NECESSARY SERVICING, REPAIR OR CORRECTION TO ANY COMPUTER OR OTHER EQUIPMENT ARISING FROM, CONNECTED WITH, OR RELATING TO YOUR USE OF THE WEB SITE. THE OPERATION OF THE WEB SITE MAY BE AFFECTED BY NUMEROUS FACTORS BEYOND DIY Tools'S CONTROL. THE OPERATION OF THE WEB SITE MAY NOT BE CONTINUOUS OR UNINTERRUPTED OR SECURE. SECURITY AND PRIVACY RISKS CANNOT BE ELIMINATED. 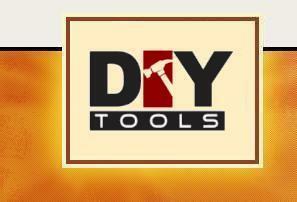 DIY Tools IS UNDER NO OBLIGATION TO VERIFY THE IDENTITY OF USERS OF THE WEB SITE. THROUGH YOUR USE OF THE WEB SITE, YOU MAY HAVE THE OPPORTUNITY TO ENGAGE IN COMMERCIAL TRANSACTIONS WITH OTHER PERSONS. ALL SUCH TRANSACTIONS ARE AT YOUR OWN RISK. DIY Tools IS NOT A PARTY TO ANY SUCH TRANSACTIONS AND DISCLAIMS ANY AND ALL LIABILITY REGARDING ALL SUCH TRANSACTIONS. AND DIY Tools AND ITS PROVIDERS DISCLAIM ANY AND ALL LIABILITYREGARDING SUCH MATTERS TO THE FULLEST EXTENT PERMITTED BY LAW. DIY Tools AND ITS PROVIDERS WILL NOT UNDER ANY CIRCUMSTANCES BE LIABLE TO YOU OR ANY OTHER PERSON FOR ANY LOSS OF USE, LOSS OF PRODUCTION, LOSS OF INCOME OR PROFITS ( ANTICIPATED OR OTHERWISE ), LOSS OF MARKETS, ECONOMIC LOSS, SPECIAL, INDIRECT OR CONSEQUENTIAL LOSS OR DAMAGE OR PUNITIVE DAMAGES, WHETHER IN CONTRACT, TORT OR UNDER ANY OTHER THEORY OF LAW OR EQUITY, ARISING FROM, CONNECTED WITH, OR RELATING TO THE USE OF THE WEB SITE BY YOU OR ANY OTHER PERSON, AND REGARDLESS OF ANY NEGLIGENCE OR OTHER FAULT OR WRONGDOING BY DIY Tools OR ANY PROVIDER OR ANY PERSON FOR WHOM DIY Tools OR ITS PROVIDERS ARE RESPONSIBLE, AND NOTWITHSTANDING THAT DIY Tools OR ITS PROVIDERS MAY HAVE BEEN ADVISED OF THE POSSIBILITY OF SUCH LOSS OR DAMAGES BEING INCURRED BY YOU OR ANY OTHER PERSON. IN NO EVENT WILL DIY Tools OR ANY OF ITS PROVIDERS BE LIABLE TO YOU OR ANY OTHER PERSON FOR ANY CLAIMS, PROCEEDINGS, LIABILITIES, OBLIGATIONS, DAMAGES, LOSSES, AND COSTS, WHETHER IN CONTRACT, TORT OR UNDER ANY OTHER THEORY OF LAW OR EQUITY, AND REGARDLESS OF ANY NEGLIGENCE OR OTHER FAULT OR WRONGDOING BY DIY Tools OR ANY PERSON FOR WHOM DIY Tools IS RESPONSIBLE, EXCEED $25 (CDN) OR THE AMOUNT YOU PAID TO DIY Tools FOR THE USE OF THE WEB SITE, WHICHEVER IS LESS. YOU HEREBY RELEASE, REMISE AND FOREVER DISCHARGE EACH OF DIY Tools AND ITS PROVIDERS AND ALL OF THEIR RESPECTIVE AGENTS, DIRECTORS, OFFICERS, EMPLOYEES, INFORMATION PROVIDERS, SERVICEPROVIDERS, SUPPLIERS, LICENSORS AND LICENSEES, AND ALL OTHER RELATED, ASSOCIATED, OR CONNECTED PERSONS FROM ANY AND ALL MANNER OF RIGHTS, CLAIMS, COMPLAINTS, DEMANDS, CAUSES OF ACTION, PROCEEDINGS, LIABILITIES, OBLIGATIONS, LEGAL FEES, COSTS, AND DISBURSEMENTS OF ANY NATURE AND KIND WHATSOEVER AND HOWSOEVER ARISING, WHETHER KNOWN OR UNKNOWN, WHICH NOW OR HEREAFTER EXIST, WHICH ARISE FROM, RELATE TO, OR ARE CONNECTED WITH YOUR USE OF THE WEB SITE. YOU AGREE TO INDEMNIFY, DEFEND AND HOLD HARMLESS EACH OF DIY Tools AND ITS PROVIDERS AND ALL OF THEIR RESPECTIVE AGENTS, DIRECTORS, OFFICERS, EMPLOYEES, INFORMATION PROVIDERS, SERVICE PROVIDERS, SUPPLIERS, LICENSORS AND LICENSEES, AND ALL OTHER RELATED, ASSOCIATED, OR CONNECTED PERSONS ( COLLECTIVELY, THE "INDEMNIFIED PARTIES" ) FROM AND AGAINST ANY AND ALL LIABILITIES, EXPENSES AND COSTS, INCLUDING WITHOUT LIMITATION REASONABLE LEGAL FEES AND EXPENSES, INCURRED BY THE INDEMNIFIED PARTIES IN CONNECTION WITH ANY CLAIM OR DEMAND ARISING OUT OF, RELATED TO, OR CONNECTED WITH YOUR USE OF THE WEB SITE OR YOUR BREACH OF THIS AGREEMENT. YOU WILL ASSIST AND CO-OPERATE AS FULLY AS REASONABLY REQUIRED BY THE INDEMNIFIED PARTIES IN THE DEFENSE OF ANY SUCH CLAIM OR DEMAND. ADVICE AND INFORMATION PROVIDED BY DIY Tools OR ITS REPRESENTATIVES, WHETHER ORAL OR WRITTEN, WILL NOT CREATE ANY REPRESENTATION, WARRANTY OR CONDITION OR VARY OR AMEND THIS AGREEMENT, INCLUDING THE ABOVE DISCLAIMER, LIABILITY EXCLUSION, LIABILITY LIMITATION, RELEASE AND INDEMNITY PROVISIONS, AND YOU MAY NOT RELY UPON ANY SUCH ADVICE OR INFORMATION. The exclusion of certain warranties and the limitation of certain liabilities are prohibited by legislation in some jurisdictions. Such legislative limitations may apply to you. The disclaimer, liability exclusion, liability limitation, release, and indemnity provisions in this Agreement survive indefinitely after the termination of this Agreement. If you breach any provision of this Agreement, you may no longer use the Web Site. DIY Tools may, in its sole discretion, change, suspend or terminate, temporarily or permanently, the Web Site or any part of it or any of its features at any time, for any reason, without any notice or liability to you or any other person. DIY Tools may at any time and for any reason, with or without cause, and in its sole discretion, immediately suspend or terminate ( in whole or in part ) your permission to use the Web Site, without any notice or liability to you or any other person. If this Agreement or your permission to use the Web Site is terminated by you or DIY Tools for any reason, this Agreement will nevertheless continue to apply and be binding upon you in respect of your prior use of the Web Site and your purchases of goods and services through the Web Site and anything connected with, relating to or arising from those matters. All information you provide through the Web Site, including registration information (name and email address), payment information (credit card numbers and expiration dates), and transaction-related information, must be true, accurate, current and complete. You must also provide DIY Tools with updated registration information and payment information within 30 days of any changes. DIY Tools will rely on the information you provide. You will be solely responsible and liable for any and all loss, damage, and additional costs that you, DIY Tools or any other person may incur as a result of your submission of any false, incorrect or incomplete information or your failure to update your registration information and payment information within 30 days of any change. DIY Tools may require a copy of a government-issued form of identification before making any changes to your registration information. The Web Site and all information ( in text, graphical, video and audio forms ), images, icons, software, design, applications and other elements available on or through the Web Site are the property of DIY Tools, its Providers and others, and are protected by AUSTRALIA and international copyright, trade-mark, and other laws. Your use of the Web Site does not transfer to you any ownership or other rights in the Web Site or its content. You may only use the Web Site in the manner described specifically in this Agreement. The Web Site may not be used for any purpose not expressly permitted by this Agreement. In particular, except as expressly stated otherwise in this Agreement, the Web Site may not be copied, imitated, reproduced, republished, uploaded, posted, transmitted, modified, indexed, catalogued, or distributed in any way, in whole or in part, without the express prior written consent of DIY Tools. You may not use any of the software that is used in the operation of the Web Site except while you are use the Web Site. You may not reproduce, copy, duplicate, sell, or resell any part of the Web Site (including the software used in the operation of the Web Site) or access to the Web Site. The Web Site is made available to you for your lawful use only. You may not print or download the pages. The Web Site includes advertisements for, and links to, other Web sites or resources and businesses operated by other persons ("Other Sites"). Other Sites are independent from DIY Tools, and DIY Tools has no responsibility or liability for or control over Other Sites, their business, goods, services, or content. Links to Other Sites are provided solely for your convenience. DIY Tools does not sponsor or endorse any Other Sites or their content or the goods or services available through those other Web Sites. Your use of Other Sites and your dealings with the owners or operators of Other Sites is at your own risk, and you shall not make any claim against DIY Tools arising out of your use of any Other Sites or your dealings with the owners or operators of any Other Sites. As between you and DIY Tools, the provisions of this Agreement under the section headed Disclaimer, Liability Exclusion, Liability Limitation, Release and Indemnity apply, with all necessary modifications, to your access to and use of any Other Sites and their business, goods, services, and content. Anyone may link to http://www.diytools.com.au/ at any time. DIY Tools reserves the right to cancel and revoke any permission it may give to link to the Web Site at any time, for any reason, without any notice, and without any liability to you or any other person. All transactions through the Web Site, including the purchase and sale of Advertising and services and the licensing of software, are governed by this Agreement and any applicable Transaction Agreement. By participating in a transaction through the Web Site, you signify your agreement and acceptance of the applicable Transaction Agreement. From time to time DIY Tools may make promotions available to users of the Web Site and others. All promotions are governed by this Agreement and the applicable promotion rules. By participating in a promotion through the Web Site, you signify your agreement and acceptance of this Agreement and the applicable promotion rules. Any dispute or difference arising in connection with this agreement shall be submitted to arbitration in accordance with, and subject to, the Rules for the Conduct of Commercial Arbitrations of the Institute of Arbitrators, AUSTRALIA. During such arbitration, both parties may be represented by a duly qualified legal practitioner. This agreement shall be governed by the laws of the State of Victoria and the parties hereby submit to the jurisdiction of the Courts of that State for the resolution of any dispute under this agreement. THIS AGREEMENT IS SUBJECT TO CHANGE WITHOUT NOTICE!